Brown adipose tissue activation occurs most effectively by cold exposure. In the modern world, we do not spend long periods in cold environment, and eating and meals may be other activators of brown fat function. Short-term regulation of brown fat functional activity by eating involves most importantly insulin. Insulin is capable to increase glucose uptake in human brown adipose tissue fivefold to fasting conditions. Oxidative metabolism in brown fat is doubled both by cold and by a meal. 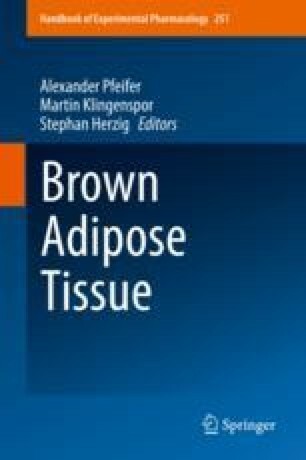 Human brown adipose tissue is an insulin-sensitive tissue type, and insulin resistance impairs the function, as is found in obesity. Body weight reduction improves cold-induced activation of human brown adipose tissue.